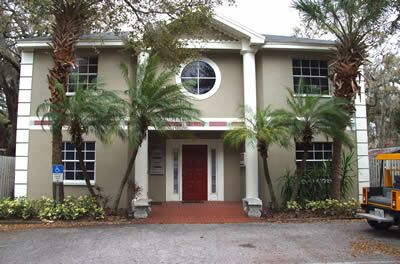 We are located in a two-story building behind Studio 126. We are upstairs in Suite 206 at the end of the hallway. The door to the stairwell is on the left as you stand in front of the red door.